Check out this interview with Dario Argento, who presented his latest film Dracula 3D at the festival. I love his broken English response when asked about the upcoming Suspiria remake: "No I don't... I don't like-a it... No I... I don't welcome this. Because I think-a the original is-a good. The second-a... The remake is just do for... To make-a some money. I... I spit on this money!" 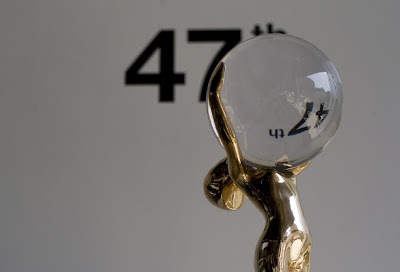 Also see the trailer created for the 47th Karlovy Vary IFF below. An amusing tribute to the grandfather of Czech film, Otakar Vávra, who passed away last September at the age of 100. Over the past few years, the KVIFF has really established a great tradition of humorous trailers (warning: potentially not safe for work language), that I feel deserve greater attention, featuring important Czech directors such as Jiří Menzel, Miloš Forman, and Věra Chytilová as well as internationally renowned actors such as Jude Law, Andy Garcia, and John Malkovich. Check them out. Which films are you looking forward to seeing? What do you think about the trailers? This was well written.. I didn't feel over empowered with info. Then again there was probably less to say. Really digging Dario Argento's interview there. Despite you saying that last line, actually hearing it is so very sweet. Go on Argento! Tell it how it flipping is! Well most of these have just premiered there, so it will be awhile before even I get to see them. As for Killer Joe, I'm actually looking forward to seeing that one too. Thanks. I always try to be concise. And yeah Argento was pretty awesome there. I really hope that remake never gets made. NIce overview of the festival. Lots of films look interesting. Congratulations Kristina. I just saw the trailer, and it looks fantastic. Very much looking forward to seeing your film now. I'm so glad that Serbia's DEATH OF A MAN AT BALKANS won an award and amazing critical praise.